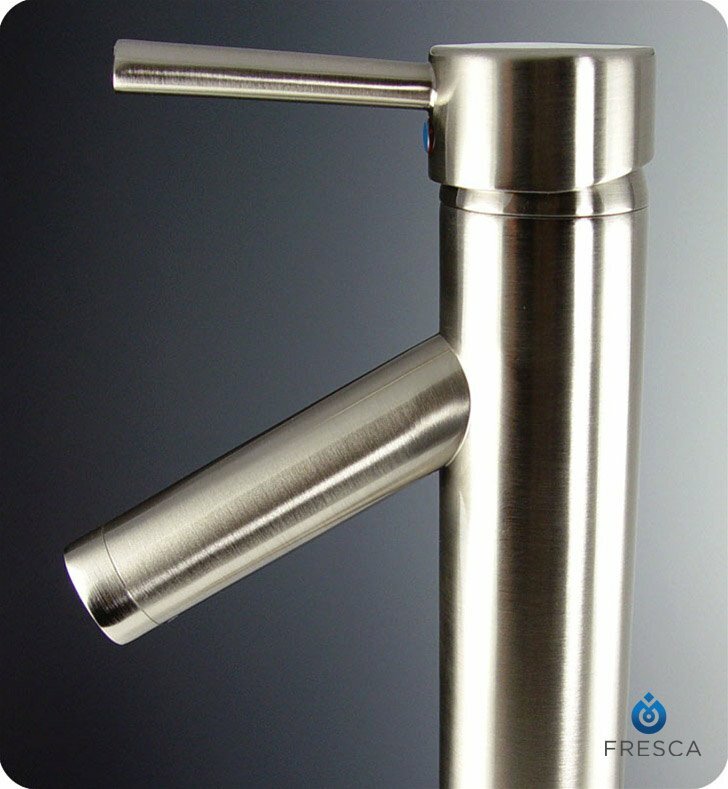 Amaze your guests with the Fresca Soana Bathroom Vanity Faucet in brushed nickel, part FFT1045BN. 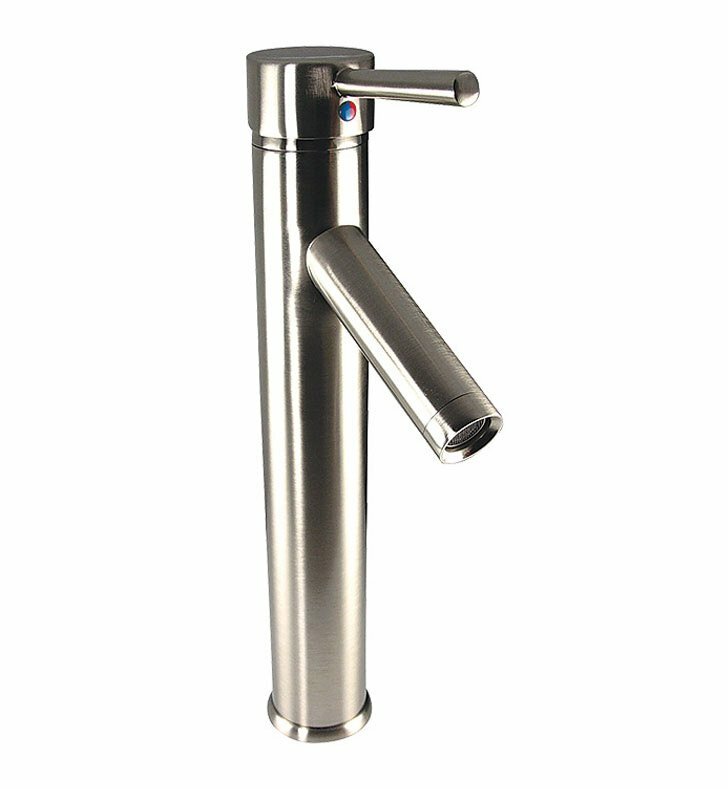 This tall faucet will revamp your sink area with a decorative modern style. Each bathroom vanity faucet is made out of brass and has a beautiful triple brushed nickel finish. The one-handle faucet also features a ceramic mixing valve, for long-lasting watertight functionality. This single hole bathroom faucet comes complete with a limited lifetime warranty, and it measures W 2" x D 5 1/8" x H 12 5/8". Dimensions: W 2" x D 5 1/8" x H 12 5/8"
The faucet installed as part of a vanity set is stylistically consistent and works well. Due to high pressure the water flow is not well contained by the sink. It would be better with a low flow washer in it. The supply lines were not attached by the factory, so the lines must be stiffened with a straightened coat hanger to be installed. The seal design is effective with no leaks even though installed by me. Love the faucet, but if you're getting it to go with the modello vanity, you'll want a flow restrictor - it sends the water right over the edge of the sink otherwise. Also our plumber does not love the euro trap - concerned about possible future back-ups.